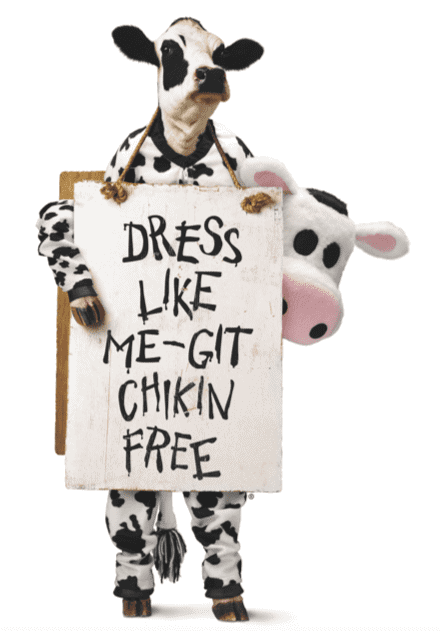 Chick Fil A Cow Appreciation Day – Get a FREE Entree when you Dress like a Cow! Now that we have more & more Chick Fil A’s in the Northwest, we can participate in the Cow Appreciation Day. 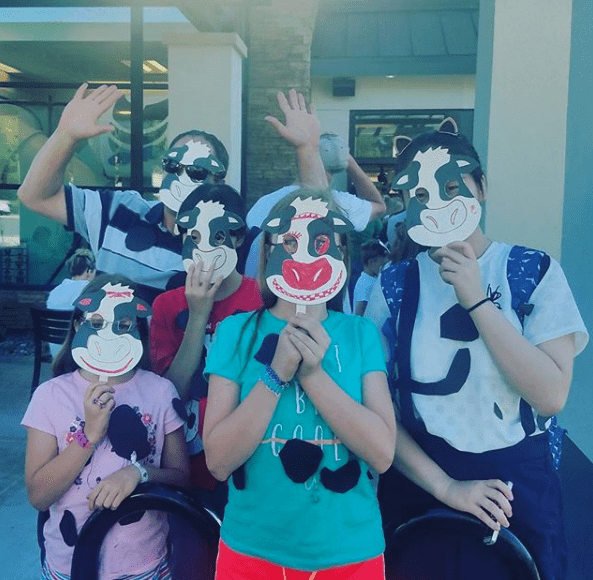 Tomorrow, Tuesday July 10th from 6:30am – 7pm is their Cow Appreciation event where you can get a FREE entree when you dress like a cow. And kids will get a FREE kids meal! All you need to do is wear anything cow-like to Chick-Fil-A tomorrow, 7/10 and you can select any breakfast, lunch or dinner entree for FREE. Kids can also get a FREE kids’ meal if they wear anything cow-like to the restaurant. You don’t need to be decked out, it says anything from a cow-like hat to a full costume will get a free entree! Check out the FAQ page for more details. What is your favorite item to order at Chick-Fil-A? My favorite is waffle fries & Chick Fil A special sauce. But the Frosted Lemonade is amazing too! Mmm! Find more restaurant deals & coupons!